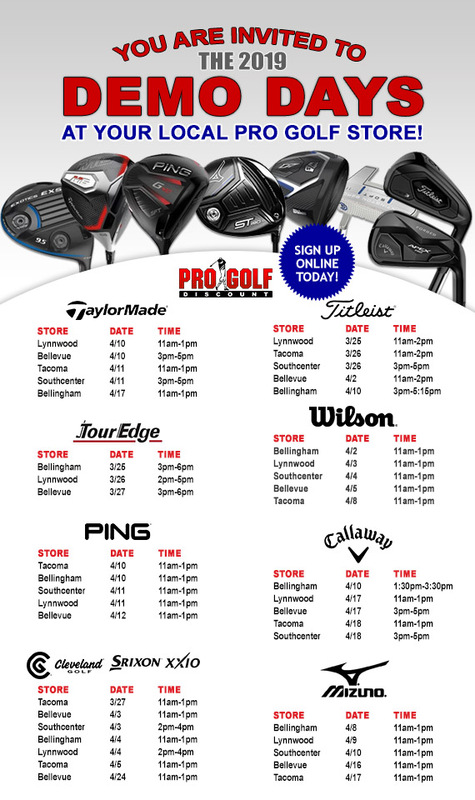 Come join us at Pro Golf Discount for a month of demo days with the top brands in golf. Demo days are a wonderful opportunity for you to meet one-on-one with a trained brand specialist and club fitter. You don’t want to miss out on their industry knowledge and extensive line of demo clubs to test! Pro Golf Discount is proud to offer online registration for demo days this year. While you are always welcome to drop by our stores to check out the latest and greatest during demo days, to get the most out of the experience we highly recommend signing up for a 20-minute session with a brand representative. The process is simple to complete and takes no time at all: Decide which demo day you wish to attend from the schedules down below, then navigate to the store demo days sign up page using the red buttons above the schedules on this page. The sign up forms are in order by date from top to bottom. Locate and complete the associated registration form on that store’s page and your spot will be reserved!